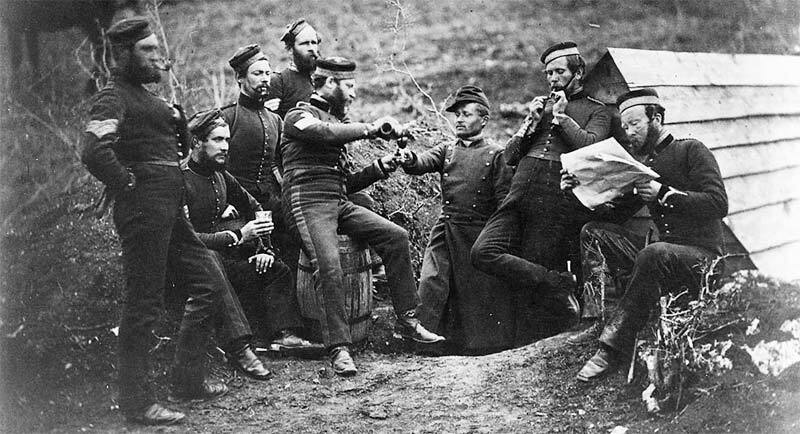 The first Roll Your Own story happened during the Crimean War at the Battle of Sevastopol in September of 1855. As the smoke clears you realize the Battle of Sevastopol seems to be in a pause. It has been a long hard march. “Great time for a relaxing pipe” he thought. He reaches for his pouch of tobacco. He hadn’t had any decent tobacco so this was going to be a long awaited treat. 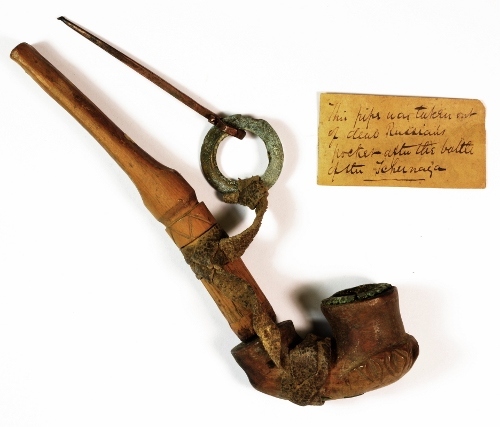 As he smells his tobacco he thinks about his clay pipe….or at least what was left of it. He had saved it many times from total destruction as he watched his comrades in arms break theirs and resort to hollowing out deer horn, or bone, or a piece of wood. But this soldier was smart. He had his pipe safely stored safely with all of his prepared shots ready to be rammed into the barrel of his black powder gun. Yes it gave a little zing to the pipe but at least he still had one! As he reaches into his cartridge pouch he feels something that sends temporary dread though him. All he feels is clay pieces! NO it can’t be! But it’s true. The pipe he had carried through the Battle of Sevastopol was destroyed and all he wanted was a warm bowl of tobacco and the feeling of hypnosis that washes over as the smoke is inhaled and the visual satisfaction of the curling wisps of temporary disconnection from the horrors of the world around him. Dejected he sits back in his fighting position. Dammit. He couldn’t bring himself to ask for another’s pipe. Even if someone had one that was usable, it just wasn’t done. Looking down the soldier sees all the paper from his ammunition. He had fired at least 20 times and the paper around him was testimony to his efficiency and training. But he realized it also burns! He reaches for a paper. “This is gonna taste horrible” he thinks but he wants a smoke break right now while he can and this just might work. He picks the biggest piece of paper and brushes all of the gunpowder residue off. He puts his tobacco in it and rolls it like he had heard of rich Parisians and their huge tobacco wrapped cigars. He walks over to the fire and grabs a small twig to light it with. As the paper lights the tobacco starts to burn and smoke. The tobacco is green and not as dry as he likes but he is feeling the effects of the herb already. He starts to keep his paper cartridge wrappers for this exact reason until he can replace his precious pipe and thus begins the first Roll Your Own story. After the soldier is transferred back home at the end of the war he saw peasants picking up the discarded large butts of the rich who smoked larger and higher quality leaf, tearing apart the butts and using whatever paper they could find to smoke the tobacco with. The quality of the paper at the time was not suitable for tobacco and a new paper was needed for this new and interesting small cigar or “cigarette” and the rest is history…which we will discuss in the future. And now you know the first Roll Your Own story.